P.S. Gopinathan, J. – This is an appeal preferred by the Department under section 260A of the Income-tax Act (hereinafter referred to as ‘Income-tax Act’) against the assessee. The assessee M/s. Hotel Meriya, Pala is running a bar attached hotel and was subjected to assessment with PAN.FV.4140. 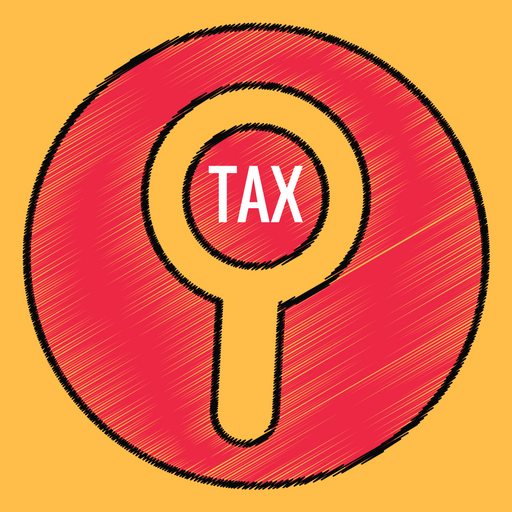 On 28-6-2001 a search was conducted under section 132 of the Income-tax Act. During the search, though no material was disclosed to show that there was suppression of business, it was revealed that there was suppression of sale outcome. Cash book was seen recorded up to 25-6-2001. Cash book showed a cash balance of Rs. 21,31,523. But, the physical balance was only Rs. 34,552. On interrogation of the Managing Partner and the employees it was revealed that only 80 per cent of the actual sales turnover in respect of liquors are recorded in the cash book. Consequently, the respondent was served notice to file return under section 158BC of Income-tax Act. In response to the notice, a return was filed on 4-1-2002 as Sl. No. 866. Subsequently, a modified return was filed on 5-2-2006. In the return a negative income of Rs. 29,770 was disclosed for the assessment year 2002-03. In respect of earlier assessment years of the block period, it was declared that there was no undisclosed income for assessment under section 158BC. 2. The Assessing Officer after perusing the return filed under section 158BC and hearing the assessee arrived at a conclusion that there was concealing of income amounting to 20 per cent of the disclosed turnover. Accordingly, the total undisclosed income was determined at Rs. 2,37,68,975. Consequently, a sum of Rs. 1,47,28,446 including surcharge at the rate of 2 per cent along with interest at the rate of 1.25 per cent under section 158BFA(1) of the Income-tax Act was assessed. 3. Aggrieved by the said assessment, respondent preferred appeal before the CIT (Appeals). Though CIT (Appeals) concurred with the Assessment Officer that there was concealment of income, it did not agree with the Assessment Officer that there was suppression of 20 per cent income for the entire block period. Taking into account that in the hotel there is sale of food items and no suppression of sale in respect of food items was disclosed. CIT (Appeals) held that there was 5 per cent suppression of turnover of liquor for the assessment years 1996-97 to 2000-01. For the assessment year 2001-02 the concealment of income was determined at 7 per cent of the turnover and for the assessment year 2002-03 up to 20-6-2001 the concealment was estimated at the rate of 15 per cent. Thus, the total undisclosed income was determined at Rs. 57,93,652. 4. The Department and the respondent were aggrieved of the order of the CIT (Appeals). Both preferred appeals before the Appellate Tribunal, Cochin Bench. The Appellate Tribunal by a common order arrived at a finding that no evidence was disclosed in the search to show that there was suppression of sales for the assessment years 1996-97 to 2000-01. Hence, the addition sustained by the CIT (Appeals) in respect of those assessment years were deleted. For the assessment years 2001-02 and 2002-03 up to 28-6-2001 the Appellate Tribunal directed the Assessing Officer to work out the undisclosed income by taking the profit at 25 per cent on the sale suppression as worked out by the CIT (Appeals) on Rs. 13,77,329 for the assessment year 2001-02 and on Rs. 8,20,205 for 2002-03. Assailing that order this appeal is preferred. 5. We heard either side. During the search, it was revealed that the respondent was not issuing bills for sale of the liquor. But, paper slips were issued to the consumers showing the price. Though a carbon copy is maintained it did not contain the price of the articles sold. The Partner of the respondent, who is in-charge of the business, as well as the person in-charge of the accounts had given statements that only 80 per cent of the actual sales outturn is recorded in the cash book and such practice was followed from the beginning. It was also revealed that in trading and profit and loss account and balance sheet furnished to the Kerala Financial Corporation for the financial years 1998-99 and 1999-2000 certified by the Chartered Accountant showed much higher amount as gross profit and net profit than that was shown in the return submitted by the respondent during the relevant period. It was further revealed that on 20-3-2001, Intelligence Squad of the Sales Tax Department of the Government of Kerala conducted an inspection and found that the respondent was not maintaining true and correct accounts. The cash balance as per the cash book was Rs. 21,31,523. On physical verification the cash available was only Rs. 34,552. The cash books were also not written up-to-date, but up to 25-6-2001. On the basis of the above materials, the Assessing Officer had arrived at a finding that the accounts are not properly maintained, and that there is concealment of income. That finding was upheld by the first appellate authority as well the second appellate Tribunal. This is a finding on facts. The finding of the appellate Tribunal on that aspect was not at all challenged by the respondent. In the above circumstance, we find that there is concealment of income and the respondent is liable to be assessed for the block period as contemplated under Chapter XIV-B of the Income-tax Act. The dispute is only regarding the mode of assessment. 6. As we mentioned earlier, the Assessing Officer on the basis of the materials collected during the search concluded that there was 20 per cent suppression of the income. It is on that basis the block assessment was made by him. CIT (Appeals) adopted different rates, i.e., at the rate of 5 per cent suppression of turnover during 1996-97 to 2000-01, at the rate of 7 per cent for the year 2001-02 and 15 per cent for the year 2002-03. The Appellate Tribunal deleted the addition sustained by the CIT (Appeals) for the years 1996-97 to 2000-01 with a reasoning that no evidence was found out as a result of the search and such other materials or information for making assessment during that period. It was also observed by the appellate Tribunal that the statement under section 132(4) of the Income-tax Act has very limited application and that the power to interrogate on oath conferred by section 132(4) is not for purpose of general investigation but for the limited purpose of seeking explanation or information in respect of the documents, articles or things found during the course of search. However, the appellate Tribunal concurred with the authorities below that there was suppression of sales and found that 25 per cent of the same being the profit alone is liable to be assessed. 7. The learned counsel for the respondent canvassing our attention to the decisions in CIT v. Dr. M.K.E. Memon 248 ITR 310 (Bom. ), CIT v. Faqir Chand Chaman Lal 262 ITR 295 (Punj. & Har.) and CIT v. Nirmal H. Phopalia 262 ITR 522 (Bom.) and argued that the order of the appellate Tribunal which is now impugned is based upon facts and no question of law is involved and hence not liable to be re-appreciated or interfered with. Relying upon the decision in CIT v. President Industries 258 ITR 654 (Guj.) it was argued that the appellate Tribunal was justified in concluding that the concealment of income is only to the extent of the profit of the suppressed sales and that the appellate Tribunal was fully justified in limiting the concealment of income at 25 per cent of the suppressed sales. Having gone through the fact of the case in the reported decision and the facts of the case on hand and the nature of dispute involved, we find that the set of facts involved in the decisions referred above have no similarity with the case on hand and that hence the rulings of the case are not applicable to the case on hand. (i)Whether the statement of the partner of the respondent as well as of the employees along with the documents seized would tantamount to evidence under section 158BB of the Income-tax Act or whether the statement recorded under section 132(4) has only very limited application ? (ii)Whether the evidence found as a result of search or other such materials or information is sufficient enough to conclude that there was concealment of income for the assessment years 1996-97 to 2000-01 ? (iii)Whether the concealment of income during the search is liable to be taxed as such or 25 per cent or any other turnover thereof as profit is liable to be taxed; if so at what rate ? (iv)Whether the respondent is liable for surcharge ? A reading of section 131 of the Income-tax Act would show that the Assessing Officer is vested with the same powers as are vested in a court under the Code of Civil Procedure, 1908 in respect of (a) discovery and inspection, (b) enforcing the attendance of any person, including any officer of a banking company and examining him on oath and (c) compelling the production of books of account and other documents. It is not disputed that the Assessing Officer recorded the statement of the partner of the respondent as well as the employees in exercise of the powers vested by him under section 131 of the Income-tax Act. The documents were also seized in exercise of such powers. In the above circumstance, the statement of the partner and the employees recorded by the Assessing Officer as well as the documents seized would come within the purview of the evidence under section 158BB of the Income-tax Act read with section 3 of the Evidence Act and section 131 of Income-tax Act. Therefore, such evidence would be admissible for the purpose of block assessment. “Section 132(4) : The authorised officer may, during the course of the search or seizure, examine on oath any person who is found to be in possession or control of any books of account, documents, money, bullion, jewellery or other valuable article or thing and any statement made by such person during such examination may thereafter be used in evidence in any proceeding under the Indian Income-tax Act, 1922 (11 of 1922), or under this Act. Going by the above provision along with its Explanation we find that the statement of the partner and employees recorded and documents collected are relevant and admissible in respect of all matters for the purpose of any investigation connected with any proceedings under the Income-tax Act. Hence, we are of the opinion that the statements so recorded and documents collected by the Assessing Officer cannot be brushed aside as done by the appellate Tribunal stating that it is having only very limited application. We answer the question in favour of the appellant. Question No. (ii) : As we mentioned earlier, all authorities below concurrently found that during search under section 132 of the Income-tax Act concealment of income was detected. The partner of the respondent as well as Santosh Scaria, an employee in-charge of the bar had given statement on oath that only 80 per cent of the actual sales are recorded in the cash book. They had given voluntary statements on oath. Their statement is supported by the sale slips, copy of the same and the cash book. The Assessing Officer had in lucid style elaborated in his assessment order about the materials disclosed during the search. Basing upon the documents seized and the statement of the partner as well as the employees, the Assessing Officer arrived a conclusion that the suppression of sale outturn varies between 20 and 22 per cent. It is on such documentary basis supported by the oral statement, the Assessing Officer had determined the suppression of sale outturn at 20 per cent, the minimum rate, of the total turnover. Going by the various provisions under Chapter XIV-B, we find that section 158B defines block period. Section 158BA authorise block assessment in the event concealment of income is detected. Section 158BB and section 158BC prescribes the method and procedure for block assessment subject to other provisions. None of the provisions under Chapter XIV-B mandates that for making block assessment there shall be evidence regarding the concealment of income for every year in the block period. It cannot be expected that the assessee would retain documents regarding the concealment of income. If documents for every concealment are insisted to be searched, practically the provision for block assessment would be defeated. We cannot shut our eyes to the legislative intent. Here, what was disclosed that for sale, no bills are issued, but paper slips are issued with the price. Though carbon copy is retained it did not contain the sale price. Sale slips are destroyed then and there. Cash books are maintained by recording the 80 per cent of the price of liquor at a later date. When such practices are adopted, nobody can expect evidence for every year in a block period. What is possible is only to have a best judgment assessment on the basis of the evidence collected during search. The Assessing Officer is authorised and empowered to make block assessment in a judicious manner on the basis of the materials disclosed during the search under section 132 of the Income-tax Act. 10. No person other than the partner of the respondent had in unambigu-ous terms stated that 20 per cent of the sales outturn is suppressed and only 80 per cent is recorded in the account books and it was the practice from the very beginning. So, it is just and appropriate to presume that there was uniform concealment of income in all assessment years during the block period. There is no material on record to show that the concealment of the sales out turn during any of the assessment year in the block period is lesser than the concealment detected under section 132 of the Income-tax Act. There is no whisper in the statement given by the partner of the respondent or any of the employees that there was any change of the rate of concealment in any year during the block period. No good reason was given to reject the above mentioned statement of the partner and employees recorded during search. Oral evidence was corroborated by the documentary evidence. So, it is just and appropriate to conclude that the concealment was same in all the years during the block period. Adding to that we find that when it is revealed in a search under section 132 of Income-tax Act that the assessee was following a particular method to conceal the income, it is just and reasonable to presume that the same practice was followed by the assessee throughout all the assessment years in the block period for the purpose of block assessment. Of course, the presumption is rebuttable. In such circumstances, it is for the assessee to establish that the same method of concealment was not followed in the earlier assessment years in the block period or that the method of concealment detected was practiced only from a particular period. Here, regarding that, assessee had not adduced any evidence to rebut the presumption or to come to a contrary finding. On the other hand, in unambiguous terms, it was stated by the partner of the respondent, who is in-charge of the bar that only 80 per cent of the sales outturn is recorded in the cash books and that is the practice followed from the beginning of the business. In the light of the above statement it is just and appropriate to presume that what is detected out in search is the practice followed throughout the block period to conceal the income. The first appellate authority adopted different slabs with no good explanation. We find that there is no material to adopt an assessment in any year during the block period at a lesser rate than that was assessed for the assessment year during which search was conducted. The appellate Tribunal was not justified in arriving a conclusion that there is no evidence regarding concealment of the income for the assessment years 1996-97 to 2000-01. The procedure adopted by the first appellate authority in calculating the concealment of income at different rates is also without any supporting materials and against the intention of the Legislature expressed in Chapter XIV-B of the Income-tax Act. Hence, we answer the question in favour of the appellant and find that the respondent is liable to be assessed during the block period at uniform rate. Question No. (iii) : The Assessing Officer had made assessment under section 158BC, as if the suppressed sale outturn is the income concealed. The first appellate authority had found that in the hotel run by the respondent, in addition to the liquor sale there is sale of soft drinks, food items, snacks etc. The statement of the partner as well as that of the person in-charge of the bar and the documents seized would reveal that concealment of income was only in respect of the sale outturn of the liquor alone. There is no material disclosed to show that the concealment of sale outturn is also in respect of the other food items, i.e., snacks, food items, soft drinks etc. In this view of the matter, the Assessing Officer was not justified in making block assessment at flat rate of 20 per cent of total turnover, because disclosure of the sale outturn at an average rate of 20 per cent is only in respect of liquors. So, it is just and appropriate to have a block assessment only in respect of the liquor sale outturn. We also notice that in addition to liquor consumption people also go to the hotel, though bar attached, for food other than the liquors. There is absolutely no evidence regarding the sale proportion in respect of the liquors and non-liquor items. In the above circumstances, only a guess work with a margin in favour of the assessee alone is possible. Taking into account that there would be business of food other than liquors and there would be customers other than liquor consumers, we find that the share of the liquor sales can be determined at 70 per cent of the total turnover and taking into account that 20 per cent liquor turnover is suppressed, we find that 14 per cent of the total turnover can be determined as the income concealed. The Appellate Tribunal has held while retaining assessment for years 2001-02 and 2002-03 that undisclosed income should be determined at 25 per cent of sale suppression. The undisputed facts would show that in fact there is no suppression of sale or business. The suppression is only regarding the sale outturn. For example, when one peg of TC Brandy was sold as per sale slip No. 876 dated 28-6-2001 for Rs. 27, the amount accounted was only Rs. 21. Therefore, it is evident that income alone was suppressed and not the sale or business as such. In other words, what was concealed, if not done so, should have been directly added to the net profit. The order of the appellate Tribunal as if there is suppression of sale or business and direction to add 25 per cent of the concealment as profit are contrary to the facts disclosed. Neither is there any prudence worked out. Therefore, it is unsustainable. Question answered accordingly. It was further ruled that insertion of proviso to section 113 is mere clarification. Following the ruling of the Apex Court (supra), we answer this question in favour of the appellant and against the assessee-respondent. The assessee is liable for surcharge. So found. For the forgoing reasons the appeal is allowed in part. While setting aside the orders in first and second appeal, the assessment order is restored with modification reducing the concealment of income at 14 per cent of the total turnover. The appellant shall revise the block assessment accordingly. There will be no order as to costs. This entry was posted in Sec. 158BB and tagged 332 ITR, In favour of Revenue, Kerala High Court.